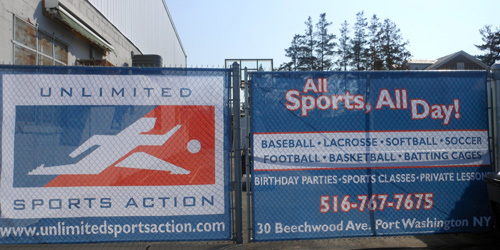 Whatever your needs may be, Chief Signs offers you endless graphic possibilities for Fence Coverings in Port Washington, NY and all of Long Island . Whether you are looking to hide an old fence with attractive graphics or text, or utilize fence space to advertise your location of products, Chief Signs has got you covered. In Port Washington, NY and all of Long Island, Chief Signs can get your fence wrapped.